Bristle-bottomed bridges are being fitted to weirs on Cumbrian rivers to enable European eels (Anguilla anguilla) to overcome the final barriers in their mammoth migrations that begin in the Sargasso Sea near Bermuda. 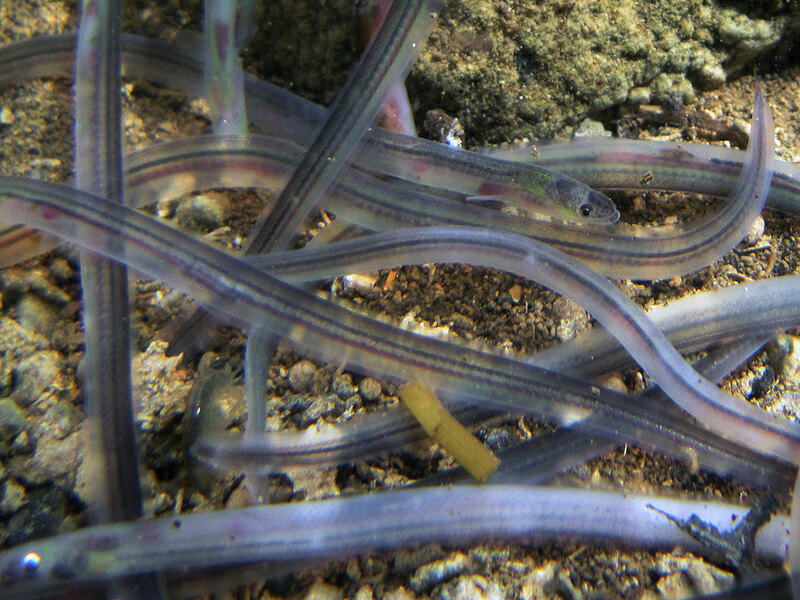 Weirs, dams and flood defences on UK rivers are thought to be one of the major reasons for a 95% decline in the number of juvenile eels reaching the UK since the 1980s. The two specially designed “passes” on weirs on the River Leven will help restore the eels to Windermere, the largest natural lake in England, where they have not been seen in significant numbers for 30 years. The troughs, fitted with bristles to allow the eels to slither up and over the weir, are being built by The South Cumbria Rivers Trust (SCRT) and its partner the Co-operative Group. Additional help is being given by attaching floats to tidal flaps in barriers sited in river estuaries, so they stay open for longer.